Choosing the right camera and the right NVR for your video security system will greatly expand your investment value! 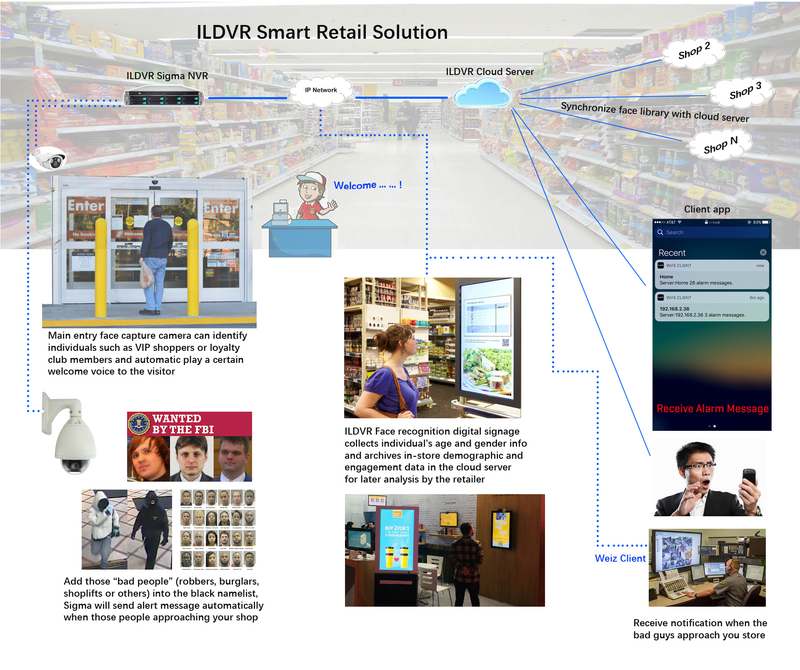 Equipped with AI Deep Learning technology, ILDVR Sigma face recognition surveillance system and face recognition signage platform not only improve your property safety, but also improve your business management and customer shopping experience. Need to oversee a large area? Our fisheye IP cameras deliver panoramic view without overwhelming the network.